With GoRoll, just grab and go! 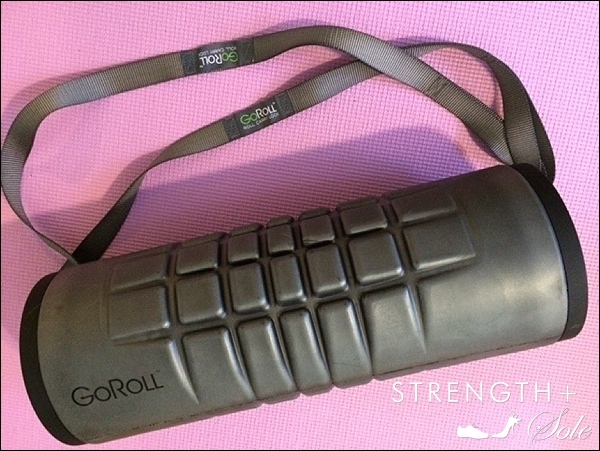 Weighing in at 3 pounds, the GoRoll is the first portable, lockable and water-resistant foam roller. For those of you who have read my blog for a while, you know that the benefits of foam rolling are many: loosening and lengthening muscles, reducing soreness after a workout and boosting range of motion. 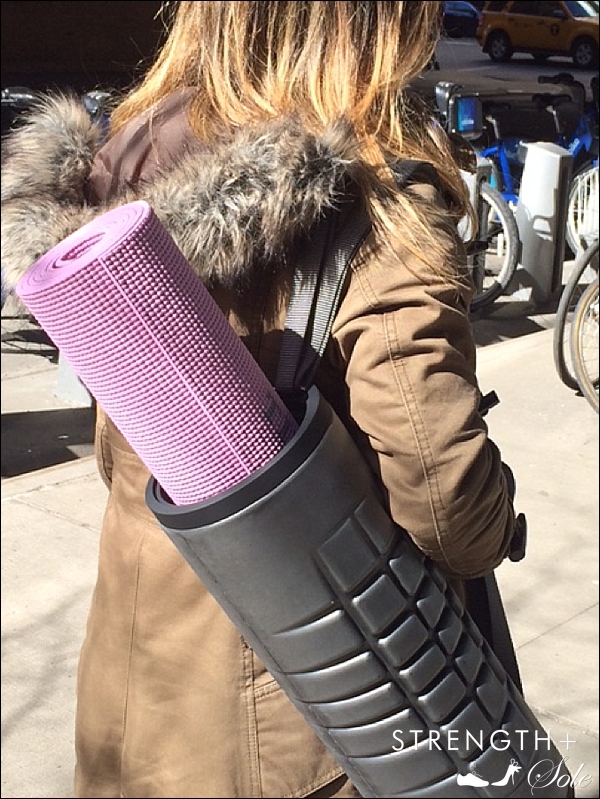 GoRoll’s six-foot stretch strap allows you to wear it like a backpack or over your shoulder, so it’s easy to grab your foam roller, yoga mat, phone, keys and cosmetics case, and, walk hands-free to the gym or outdoor boot camp. Once you’re there, just lock GoRoll wherever there’s a fixed bench or pole, so that no one walks off with it, and it’ll be there waiting for you to roll out at the end of your workout. With GoRoll, there aren’t any excuses for not foam rolling before and after you sweat. It hurts so good! Product provided by GoRoll; The WarrioR style is featured in this post. Buy online or at Mid-City Gym, 345 West 42nd Street, NYC. You look very chic perched up on the ledge; is that the High Line? Thanks for keeping us updated regarding work-out fashion and suggestions.